Supporting people with autism and other developmental disabilities and their families through community-based programs and services. Enhancing lives by teaching residential and vocational independence. $50 pays for 1000 "Just Ask" brochures assisting individuals and families in determining quality supports. One mother of an adult son with autism fell seriously ill. Her son simply stepped over her body on the kitchen floor for several days. When a neighbor inadvertently discovered the woman on the floor, emergency services were called to transport the mother to the hospital. The son accompanied her, frightened, stressed, and distressed. It soon became apparent that the gentleman had no where to go, no one to care for him. 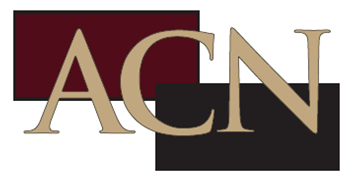 ACN was called, and immediately made arrangements for an emergency placement in an Extended Family Home. EFHs provide a stable, family-like environment with 24 hour a day supervision and supports. Today, five years later, this gentleman still resides with the same EFH provider, receiving ACN residential and vocational services. He has established a new life for himself and has been able to move past the trauma of his mother's illness and eventual death. At ACN Day Services, this gentleman is learning to create craft items for resale, to work with potential customers in The Art Garden - ACN's retail outlet, and to complete the activities of daily living. He is able to self-identify his level of stress, avoiding what had previously resulted in major property damage.